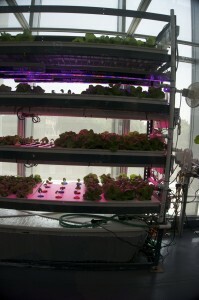 In our on going search for awesome projects and leading technologies in aeroponics, we found MIT City Farm. 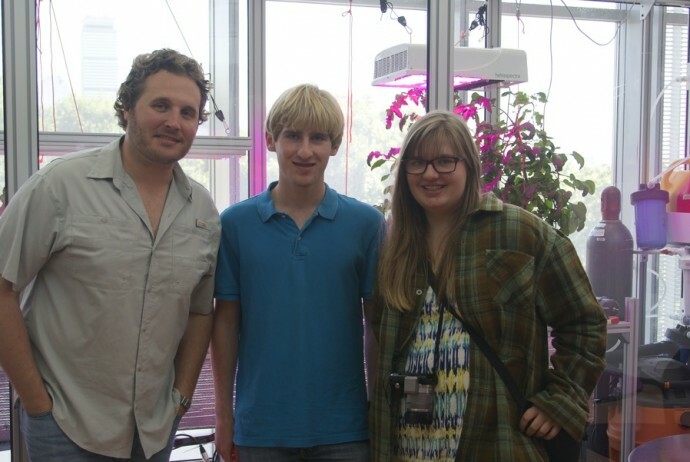 Their goal is to bring aeroponics to the forefront of agriculture and change the way food is grown on a large scale. Caleb Harper, the Founder and Lead Researcher showed us the systems they use and the technology they are creating to improve and analyze it. They also believe that open source is the most efficient and most effective way to achieve the optimal solution for farming. Tribe Awesome agrees. 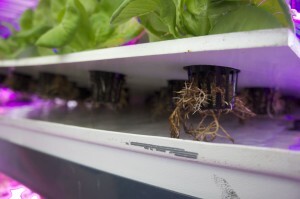 One system uses a technique called shallow water culture, which immerses the roots in a thin film of flowing water. 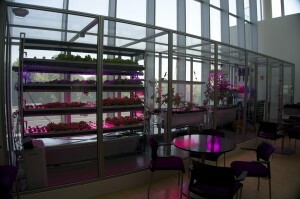 This system allows for a high vertical density structure. 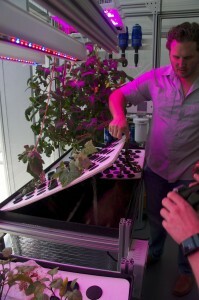 Their other system is a high pressure aeroponics setup. They use high pressure pumps and sprayers to atomize the water and nutrients. This is like fogponics (what we do) as the water is suspended in air. 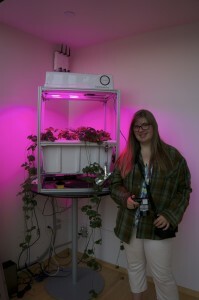 However, the droplet size is slightly larger in high pressure aeroponics compared to fogponics. We are not sure if this makes a difference, and are looking to do an experiment on droplet size. 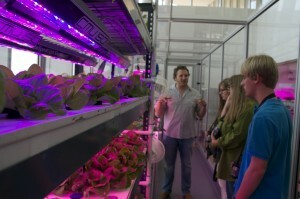 Thank You MIT City Farm!